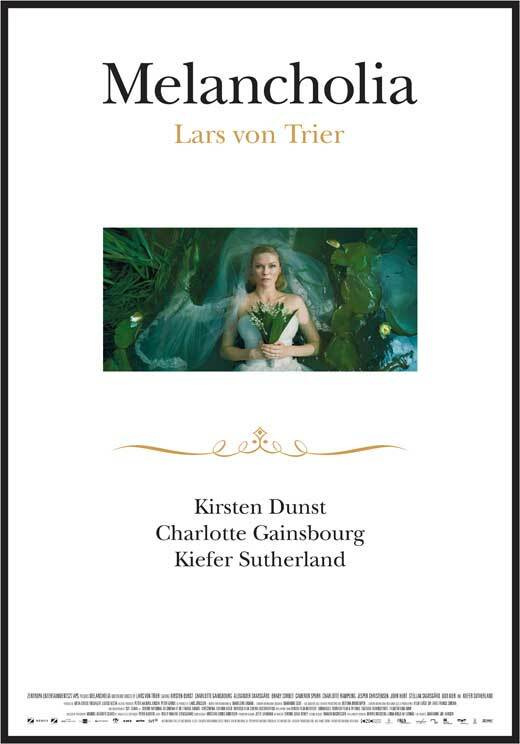 Justine (Kirsten Dunst) and Michael (Alexander Skarsgard) are celebrating their marriage at an extravagant party in the home of her sister (Charlotte Gainsbourg) and brother-in-law (Kiefer Sutherland) just as the planet Melancholia is heading towards earth. As the planet threatens to collide with the earth, the two sisters find their relationship challenged and their sense of the world and their place in it in question. Danish Director and Writer Lars von Trier is no stranger to difficult subject matter as seen in his previous films Dogville, Breaking the Waves, Dancer in the Dark and The Kingdom. Melancholia is about the tension between appearances and ‘reality,’ happiness and sadness, ‘good’ and ‘evil.’ Von Trier is also a man who upsets people both with his work and his words – it premiered at the Cannes Film Festival this year (May) where it won Kirsten Dunst a Best Actress Award (a long way away from her role in Spiderman) even as Von Trier was ejected from the festival for offending someone with something he said. However, as with Von Trier’s previous films, the work speaks for itself: complex, gorgeously shot, beautifully scored, and wonderfully acted, this is a very good film.